Earth Day is a great occasion to be a little extra green. Whether you bike instead of drive, use cloth bags at the grocery store instead of plastic, or tackle that energy-saving project around the house, get out and do something to improve the environment this Earth Day. Better World Energy’s Energy Conservation Tips can help get you started. 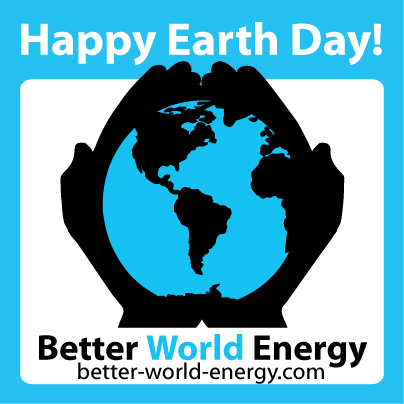 If you are looking for more, check out the EPA’s Environmental Tips for Earth Day. Go to earthday.org to pledge your own act of green and see what others are doing to make the earth a better place.